, but because I geniunly loved what I got and wanted to share. My parents had already got me a good amount of clothes a month ago, which was part of the Christmas present, but there was also something under the Christmas tree from them. I had been complaining that I needed new, soft, cosy house shoes and they gave me a lovely pink pair of fluffy boots (1.) from BHS. They're the softest thing ever and I have been practically living in them these two days. My younger sister and her boyfriend got me a small make-up kit (2.) that I can easily take around with me. It includes some nice eyeshadows, some lipsticks, a tiny mascara and liner to go with it. A lovely gift with a lovely thought. Will definitely come in handy to carry around with me in my handbag. And it also comes with a big mirror...bonus. My other sister had pooled in with my boyfriend to help me get a tablet as a graduation gift, which is the best gift ever. And her part was also for Christmas, so I also got that for Christmas as I only had it for a few days now and it has been a very convenient gift. 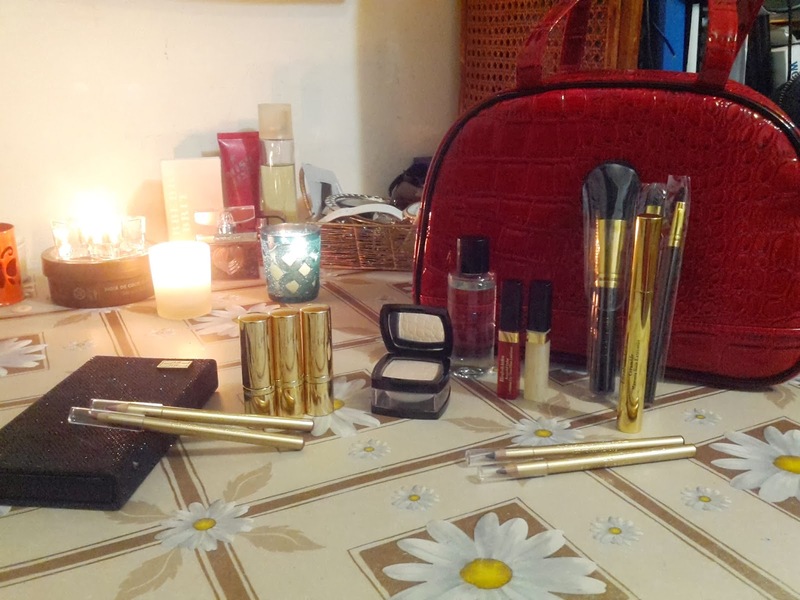 Lastly, but not least at all, my boyfriend, upon my consideration I must say :P, gave me a limited set of Elizabeth Arden make-up which is AMAZING. I can't stop looking at it, it's so nice. It includes three lipsticks, two lip glosses, powder, two lip pencils, two eye liners, one nail polish, a small bottle of make-up remover, a powder brush, a shading brush, a lip brush and a palette with 12 eyeshadows and two blushes. Loved every gift, and thought behind it. Besides the gifts, Christmas was amazing. Spent with my family watching movies and cozying up with tea and snacks and a smell of cinnamon in the house from the nice candles. Sadly it's over but that is why you feel like the next Christmas is always better than the one before. 2 comments on "What I Got for Christmas"